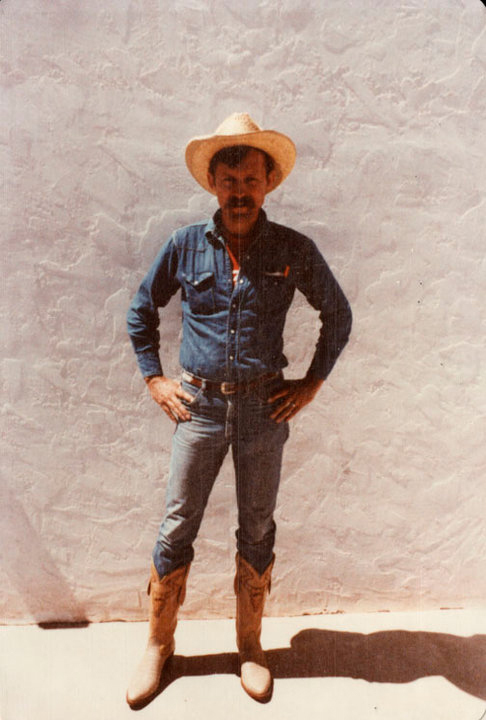 Found an old photo of myself taken in March of 1980 when I was hot on the trail of the Wyatt Earp-Curly Bill shootout site in the Whetstone mountains. 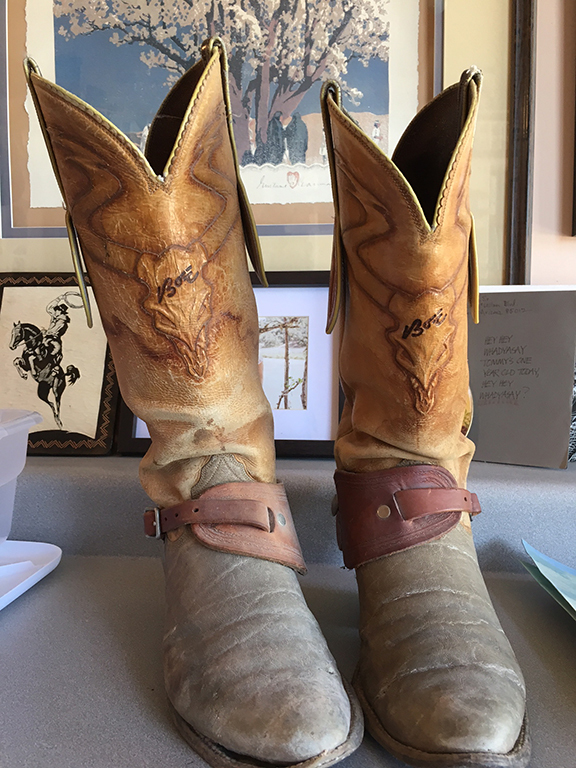 First stop was Tucson where I picked up my custom-made Boze Boots by John Weinkauf, then on down to Rio Rico where Kathy and I stayed. She took this photo of me wearing my new boots. 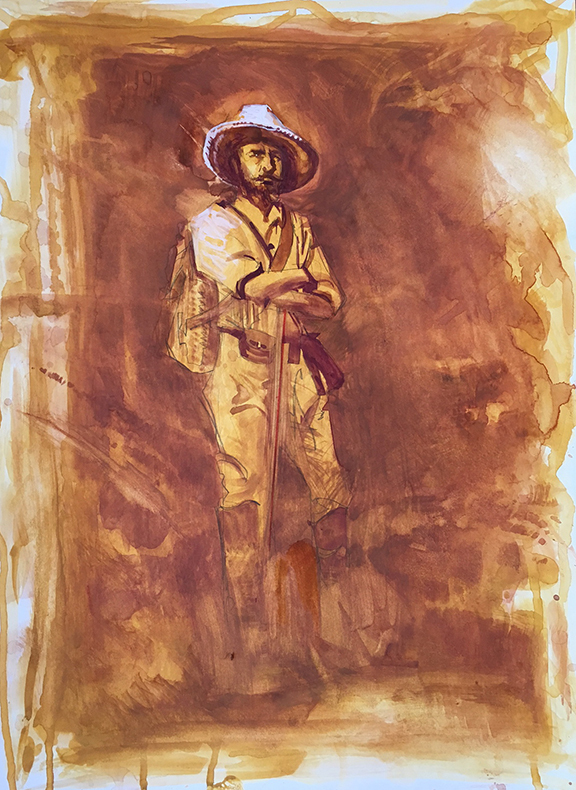 Daily Whip Out: "Fleshing Out Dr. Bugs, Phase I"
If you want to read about his background and how he relates to the Olive Oatman story, you can read it right here: The Strange Case of Dr. Bugs. Takes me back to when we met at S. Brown's Gallery in, what '92-3?